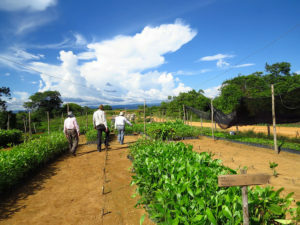 All forest and landscape restoration projects require access to land and seed. International agreements and guidelines now broadly recognize the need to consider both the biophysical and political dimensions of land during restoration planning, from erosion control to tenure issues. By contrast, the quality, availability of, and access to tree seed has received little attention in high-level policy and planning. And yet, restoring just a million hectares of degraded forest land – a fraction of recent unprecedented global restoration commitments – can easily require a billion seedlings. Additional bad news for mitigation targets is that restoration practitioners often strongly prefer ‘local’ seed, typically sourced from within a few kilometers from the restoration site. They commonly assume that such seed sources are best adapted to the site conditions – a view that has little support from research, especially in light of changing climate. Moreover, in target landscapes for restoration, remaining forests are often degraded and likely producing inbred seed with poor growth and survival. It would be prudent to expand the area within which seed is sourced, emphasizing the genetic viability of seed sources rather than arbitrary cut-off distances from the restoration site.